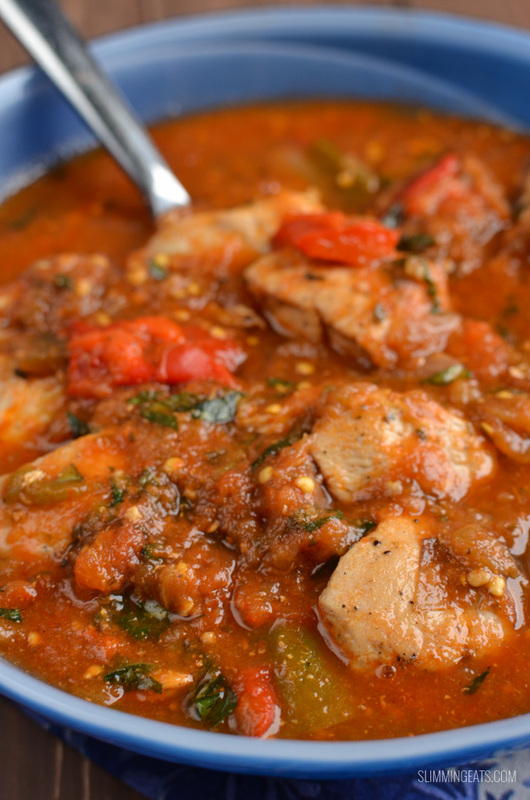 Delicious Syn Free Mediterranean Chicken Casserole – with an amazing sauce of fresh vegetables. Sometimes you just need simple dishes. After a busy day, the last thing I want is a pile of various saucepans, dishes and pots in the sink to clear up. This just dish uses just 2 pans and doesn’t compromise on flavour. 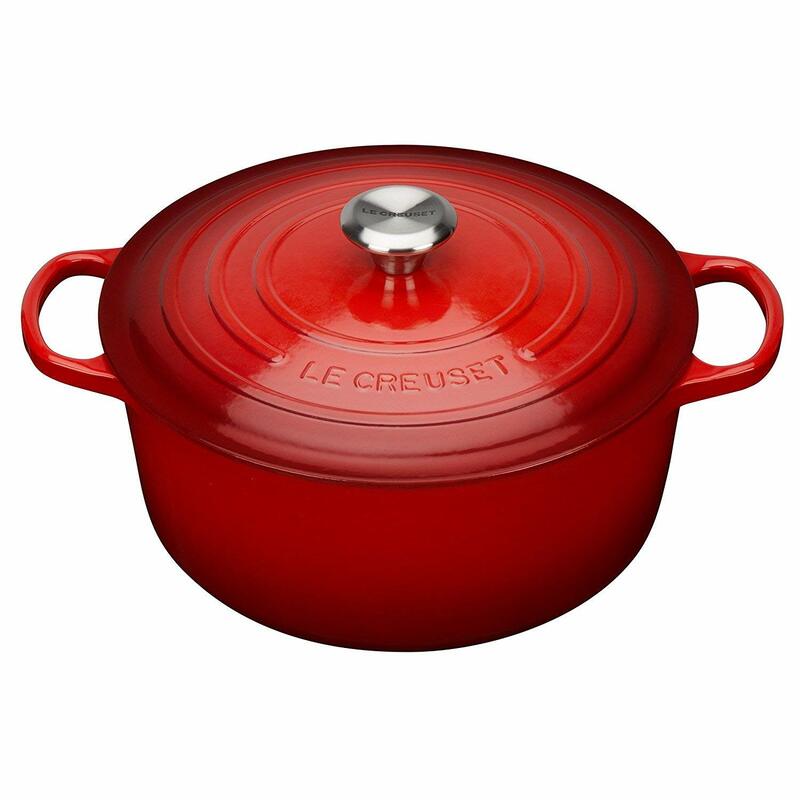 I like to cook this in a Le Creuset 26cm Casserole Cast Iron Pot. Cast iron is the best cookware ever, as it is perfect for stovetop and then to be transferred to the oven. 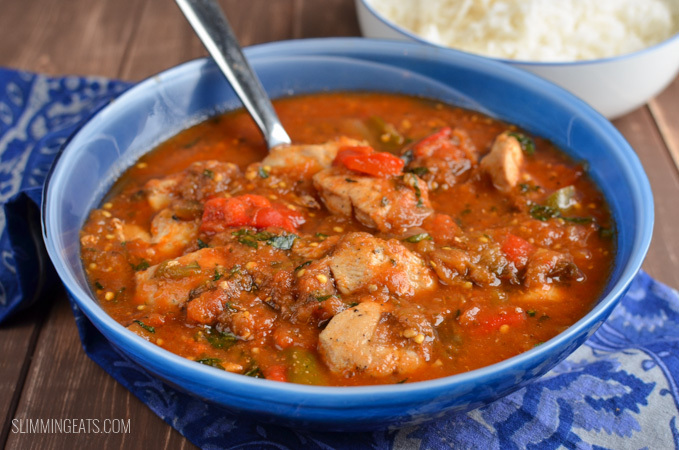 I have one like this which is perfect for casserole type dishes like this Mediterranean Chicken Casserole. Out for the whole day? This would also be perfect slow cooked in a crockpot on low for 6 hours. This can also be cooked in an Instant Pot. 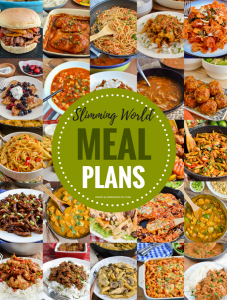 This Mediterranean Chicken Casserole is such a versatile dish that would literally go with a variety of different sides, from rice to syn free roast potatoes, to mashed sweet potatoes and leftovers would be great taken to work in a hot food flask for a filling high satiety meal. It also freezes perfectly, so add any leftovers (if there is any) to a sealable tub and freeze for another day. 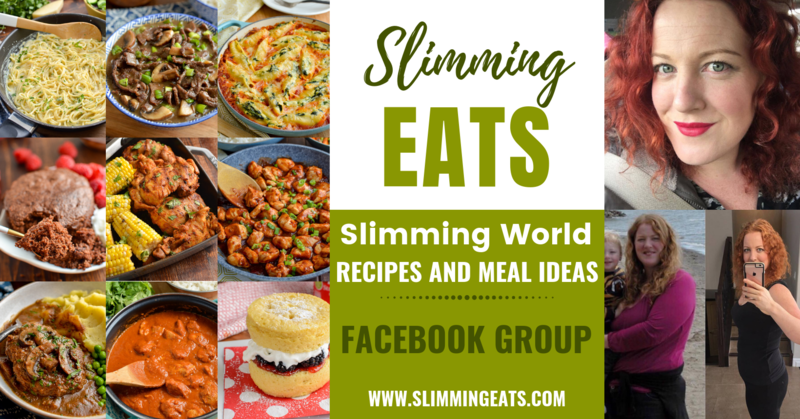 or head on over to my FULL RECIPE INDEX with over 700 delicious Slimming World Recipes to browse, by syn value, ingredients, meal type etc. 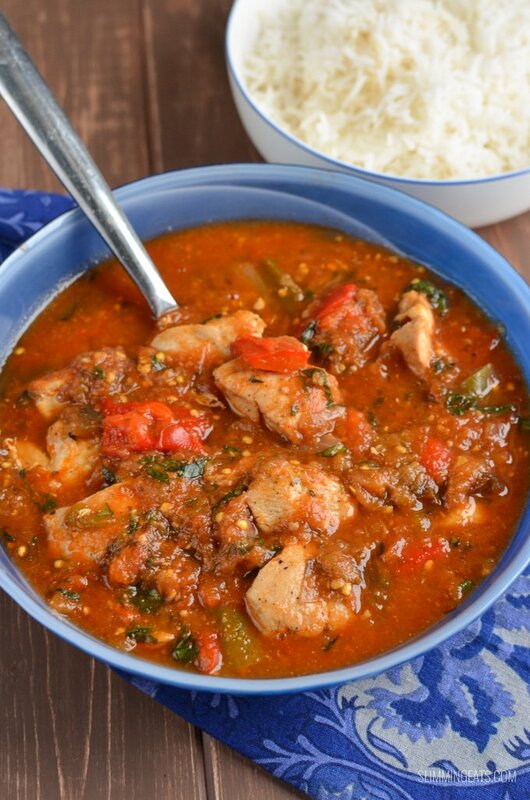 What kitchen Items do I need to make this Syn Free Mediterranean Chicken Casserole? 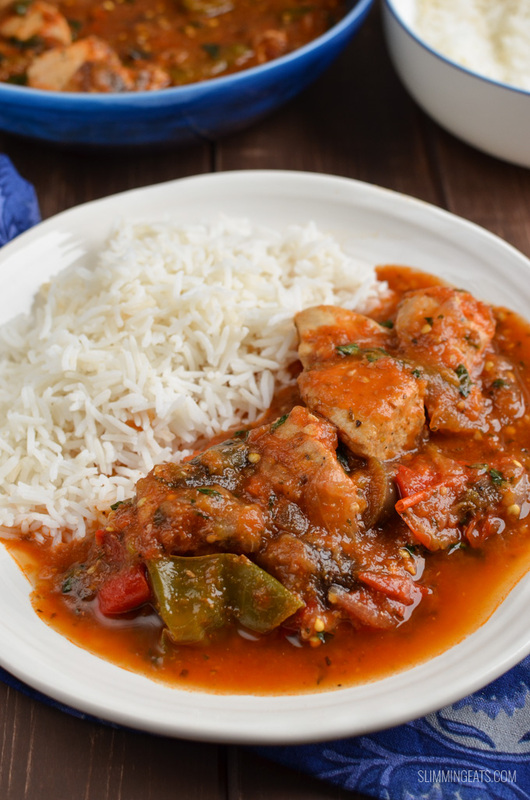 Delicious Mediterranean Chicken Casserole – with an amazing sauce of fresh vegetables. Add the onion and garlic and fry till softened. Add all the vegetables and Italian herbs and stir to coat. Add the stock, tomato paste, paprika and balsamic vinegar, bring to a boil. Reduce heat and simmer covered with a lid for 20 mins. In the meantime spray a frying pan with some spray oil. Add the chicken, season with salt and black pepper and fry till lightly golden. When sauce has finished simmering. Add in the chicken and some chopped fresh basil. Add the chicken and a little salt and pepper and cook till lightly golden. Add the onion and garlic and fry till lightly softened. Add the vegetables, stock, tomato paste, paprika and balsamic vinegar and stir till all combined. Cook for manual 10 mins (high pressure), and once cooking time is complete, do a quick release of the pressure. Set to manual 0 mins (high pressure), once cooking is complete, let the pressure release naturally for 10 minutes. Brown chicken, onion and garlic as per oven method. Add all ingredients to a slow cooker and cook on high for 4 hours or low for 6 hours. Yummeeee! Must try this at home. Keep up the fab work. Going to make this now (: minus some of the ingredients I don’t have.. I wonder if I could add pasta in there? 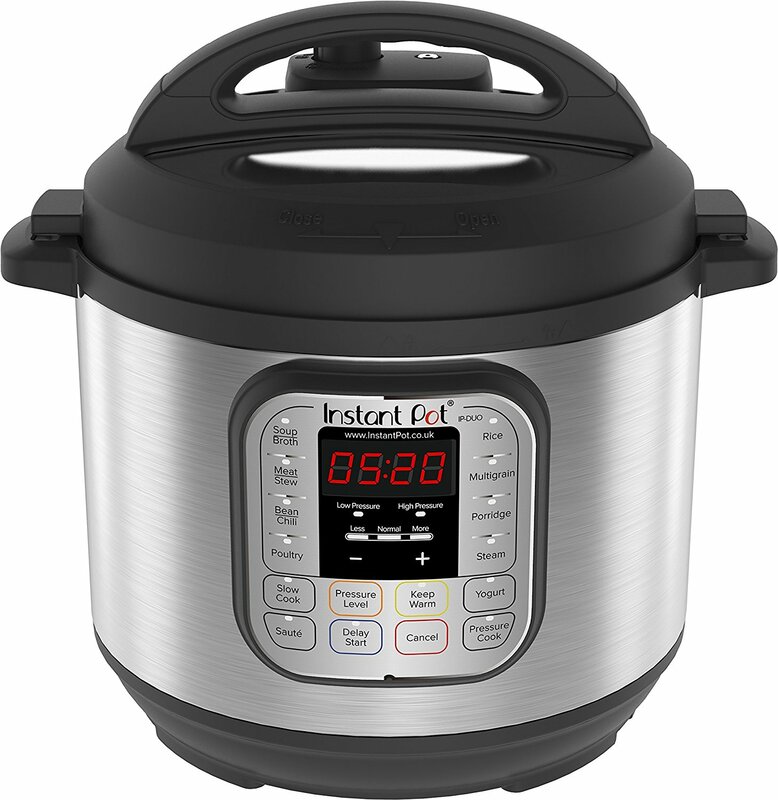 If you half the recipe does it effect the cooking time when your using the instant pot ? This was amazing. It tasted so fresh. Normally I buy tinned tomatoes, but I decided to give the fresh tomatoes a go in this and I am so glad I did. I served with the mashed potatoes recipe on here and everyone cleared their plate. Thank you for yet another delicious recipe. I have the 6 litre. How much is a serving? One cup? Two? Thanks! Looking forward to trying this. Made this for dinner today. We thought a bit mad on the paprika(1tbs) as I couldn’t see in the recipe how much to use. Anyway, still tasted fantastic, hubby really enjoyed it. In the instant pot recipe you’ve said, Set to manual 0 mins (high pressure), once cooking is complete, let the pressure release naturally for 10 minutes. Did you mean 0 mins or 10 mins after the chicken is added? You set to 0 mins Manual pressure. It will take a little while to ocme to pressure. Once it has finish cooking. Do not do a quick release of the pressure. You let it sit for 10 minutes for some of the pressure to release naturally and then you can release any remaining pressure. The recipe is correct as stated. Hope that helps. That’s great thank you. Just made it and it’s absolutely delicious! !